Tell us about your current role and how you got here. What inspired you to establish Pub Ocean? As the CEO of Pub Ocean, I set the vision and oversee day-to-day operations. We’re a technology company on a mission to make digital publishers more profitable, by building products that facilitate greater visibility and control of audience and revenue. Every single task I approach is through that lens. It’s funny to look back and realize that several seemingly unrelated, yet pivotal moments in my career would make founding a company like Pub Ocean inevitable. At age 19, I bootstrapped my first online magazine, Environmental Graffiti, and eventually grew it, through organic search and social news traffic, into one of the largest sites in its category. I witnessed how I, as a publisher, and other publishers were treated as mere content suppliers by the platform giants — where the axis of power lays. This led me to start my second company: Hexagram, the first programmatic native advertising platform. Through growing the business, but ultimately, failing, I learned exactly how much disparity there was between the buy side and sell side. Publishers lacked the same sophistication and tools that advertisers always had, and they suffered as a result. I went back to the publishing side, and leveraged those learnings into Scribol, which is now a top-200 Alexa website in the US, with $20MM+ a year in revenue. I did this by connecting the dots between revenue and users. We went from fumbling in the darkness, attempting to estimate user values, to having a technicolor vision and knowing the value of each and every single user. That allowed us to cut anything that wasn’t working — and amplify everything that was. As I saw my contemporaries folding, struggling to create profitable newsrooms, I began to think about the second and third order consequences of standing aside, and not stepping in. In other words, I started to think very seriously that if publishers don’t achieve profitability, journalism doesn’t get funded. If journalism doesn’t get funded, then what happens to democracy? I felt it was my personal duty to share not only the learnings, but the tools to make digital publishers more profitable. That’s how Pub Ocean was born. What are the major pain points for publishers in today’s digital and mobile-first landscape? I could tell you the same cliched stories that everyone in the industry tells: programmatic has eroded your margins, the platform giants are eating your lunch, the plethora of new devices/formats makes it more expensive to build a good product. But it’s important to realize these are the symptoms, not the root cause. For too long, publishers have been thinking short term, chasing today’s dimes, and not thinking about tomorrow’s dollars. In hindsight, it’s easy to connect this short-termism with the steps that led to publishers ceding control over audience, data, user experience (and ultimately, their brand) to companies with different goals. The problem is so bad, in fact, that publishers are optimizing toward the wrong metrics — toward advertiser metrics. The industry needs a reset. First, my philosophy is that if you can’t measure it, you can’t manage it — you need the tools to be able to measure how everything you touch, from creating content to making design changes to topic choice in the newsroom has the power to affect and positively influence revenue. The publishing business has always been editorially driven, now it needs to make the transition to being data- and revenue-driven. Second, measurement is pointless unless we ask the right questions and look at the right metrics. There is an industry obsession with CPMs, which frankly is wrong — we need to be thinking about user value, not CPMs, and I personally think the right metric for this is revenue per session. How do you define Cost Per Mille (CPM) and Revenue Per Session (RPS) respectively from the current PubTech perspective? Before I jump into a definition, it’s important to talk about objectives, as both advertisers and publishers have very different goals. In general, performance advertisers care about conversions (phone numbers, emails and purchases). Digital publishers, on the other hand, should care about the value of their readers (i.e. the monetary value of a reader). CPM is essentially the “Rosetta Stone” metric for publishers and advertisers to transact. It’s great that we found a currency for publishers and advertisers to trade, but it’s simply that: a currency. The problem is that most publishers think of CPM as the metric. CPM, or cost per mille, is simply what the advertiser will pay for every 1,000 ad loads — or in advertising parlance, impressions. Publishers, who need to track the value of their readership, need a better metric. I think of this metric as Revenue Per Session (RPS). This refers to the total revenue from all monetization partners for a session on the site. A ‘session,’ in case you’re wondering, is simply a website visit. The ‘session’ accounts for multiple page views, for multiple ad impressions and across multiple e-commerce purchases. So, it’s the proverbial canary in a coal mine. If the canary begins to suffocate you know you have a problem. What are the core differences and similarities between PubTech and AdTech? If you strip everything back, the digital publishing business is based on three core tenets: content, distribution and monetization. One could argue that data and technology have roles to play — and that would be correct, but I would argue they all fall under the umbrellas of content, distribution and monetization. AdTech covers monetization from an advertiser perspective, MarTech covers distribution from a marketer perspective, a handful of companies cover content from a content marketer perspective, but where does that leave publishers, who have very specific goals of attracting and retaining the right readership? We need a new category that focuses on giving publishers a proper view of their data. That new category is PubTech — it puts the publisher, and not the advertiser first. We may be looking at many similar metrics, but the lens through which we do it is different. What are your predictions for publishers and PubTech in 2019? Firstly, revenue attribution is going to become essential for publishers in 2019. You will start to see publishers taking advantage of the new metrics available to them and use these to optimize their entire businesses — all with a view to drive profitability. In short, publishers will be able to treat their business in the same way performance marketers do. Second, the data is going to become increasingly actionable, which will allow publishers to explore possibilities they never had before: make audience development profitable, build better layouts, create more meaningful content and prioritize the best advertiser partnerships. Third, this data is increasingly going to be used for automated tasks, such as layout and ad personalization, as well as triggers or alerts that uncover pockets of profitability or loss. It’s a super exciting time. What startups in the AdTech or PubTech industry are you watching/keen on right now? I think what Parse.ly and Chartbeat are doing is interesting. I like the simplicity of their offerings, though I think they should show exactly the impact content has on revenue. What are the key metrics you use to measure your B2B customer success? If I were to pick a single metric, it would ultimately, be net promoter score (NPS), but given we have just launched LiveYield publicly, we have concentrated our measurement efforts on the impact that LiveYield has on publisher revenue, and traffic. The initial results are promising: Some publishers have seen a 500% increase in traffic and a 45% increases in yield. What marketing and sales tools and automation technologies do you use? Salesforce, HubSpot, Cirrus Insight and Revealbot. Would you tell us about a standout publisher campaign at Pub Ocean? We don’t have campaigns per se, but our publishing clients do have specific initiatives. One of our publishers, New Arena used Live Yield to increase the effectiveness of their audience development efforts, and saw a 500% increase in one of their top native traffic sources in 3 months, a 40% increase in programmatic revenue and a 30% increase to revenue per session in 2 months. How do you prepare for an AI-centric world as a tech leader? How do you leverage AI capabilities at Pub Ocean? We have a team of three data scientists working at Pub Ocean. So far, one of the most astonishing achievements is we’ve been able to predict the next hour’s revenue per session with an accuracy I previously thought impossible (to +/- 3%). The implications are huge. If we know where the revenue is going to be in the next hour, we can do something about that right now. I can’t talk about everything we’re working on, but this is one of the single largest investment areas for our company. Aside from real-time revenue analytics, it comes down to email, telephone, Google docs, Google sheets, Google maps and Juno/Uber. Everything else, I could live without, but I would certainly miss Spotify. I have clear, specific and measurable goals written down in a notebook, each one has a timeframe attached to it. The reason why I don’t do this online is because I won’t get distracted by notifications or the temptation to check my email first thing. Every day, I reflect on those goals, and I write down (in pen and ink) no more than 6 things that I plan to achieve that day. I prioritize these tasks by how quickly they can move me toward my particular goal. I start with the highest impact items first and then progress through the list. The reason why this is so powerful is we all have the same amount of time each day, and simply by shifting your focus and your internal dialogue to “what can I do right now to get me closer to X goal?” you are making a commitment and action in the present moment into achieving your goals. As your island of knowledge grows, so do the shores of ignorance. It’s a paraphrased quote from John Archibald Wheeler, and it struck me like thunder. Oftentimes, we think too much about solutions based on our own experience, rather than asking the right questions from the right people — and that is a quick path to failure. Knowledge is an island precisely because the experience is your own, and your experience is limited to just you. Many people mistake an island for a complete picture of information, but there are many unknowns. These unknowns are the shores of ignorance. As your experience grows and you tackle bigger problems, you run into more unknowns. So, while your island of knowledge is growing, so are the shores of ignorance. In other words, the more you know, the more you realize that you do not know. To mitigate that, it’s important to form connections with people that can help you cover those blind spots. There is always someone out there who is better and smarter than you are. They could be further along the way. So I seek to actively put myself in situations or in the company of people whose abilities, insights, or strategies are sharper than mine. I assimilate the best of those behaviors as if they were my own. That is the quickest and most sustainable way for me to learn and grow. Thank you, Chris! Hope to see you back on MarTech Series soon. Chris Ingham Brooke is the Founder and CEO of Pub Ocean, a venture-backed technology company that makes digital publishing profitable. 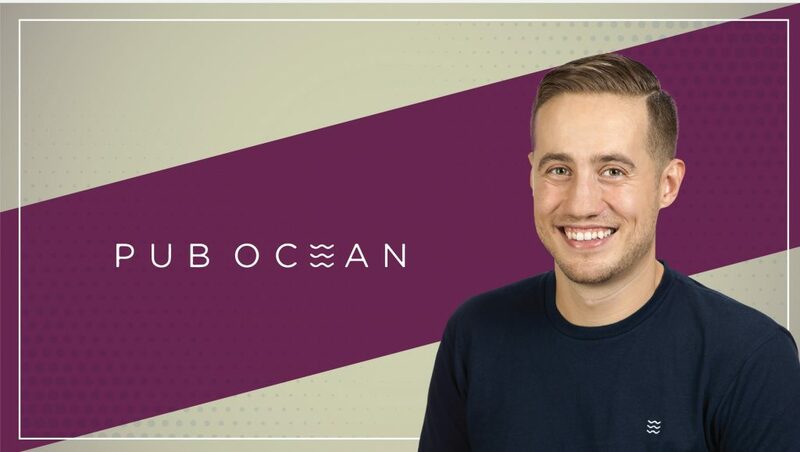 Pub Ocean’s mission is to provide publishers with greater visibility and control, ultimately, creating better content and building more sustainable companies. Building sustainable companies is something the British/Italian serial entrepreneur does well. Chris hails from London, where he started his first multi-million dollar business, Environmental Graffiti, at age 19. 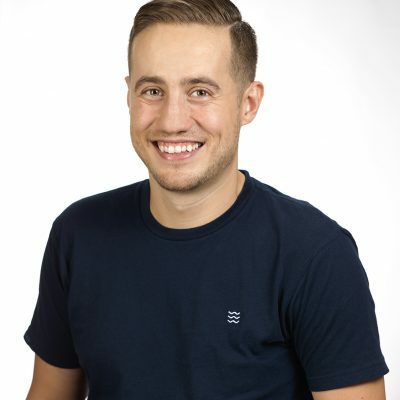 Before Pub Ocean, Chris started 2 other, entirely self-funded, businesses — Scribol, a top-200 Alexa site, which he successfully grew to $20MM a year in revenue, and Hexagram, a native advertising platform for content distribution and monetization. Pub Ocean is the leading publishing technology company that provides digital publishers with solutions to optimize the value of their content and make digital publishing more profitable. Through its real-time revenue analytics offerings, Pub Ocean gives publishers increased visibility which leads to profitable audience development and insights into creating better content that builds more sustainable audiences. Pub Ocean is headquartered in Bristol, UK, with offices in London, New York, Poznan.